The Scotland Highlanders won the North Sea Pro Series Twenty20 trophy with a 119 run win over the Scotland Reivers at Nunholm on Monday. The win meant they were unbeaten in their five games played so far. 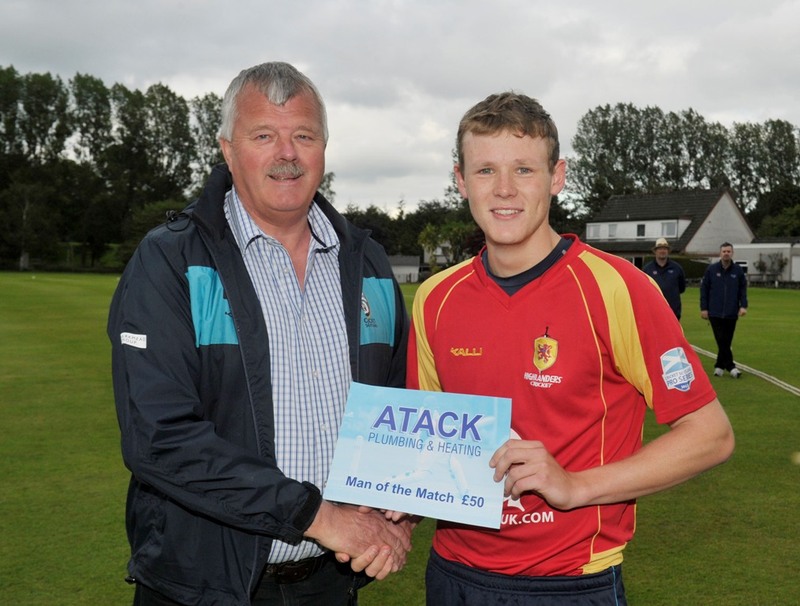 The Highlanders hit a record beating total of 283 for 7 in twenty overs with Scotland player, Michael Leask smashed his way to an astonishing score of 132 off just 58 balls to win the Atack Plumbing Man of the Match award. In the process he hit seven fours and twelve sixes in a boundary onslaught. Fellow Scotland player Gordon Goudie was overshadowed when he hit 47 not out off just eleven balls as the Highlanders kept accelerating. In reply the run pressure was too much for the Reivers. They lost four wickets in the first four overs including Dumfries player Scott Beveridge, who after launching one massive six, was caught hitting out at long off. However another impressive innings of 81 not out from De Lange meant they reached a still respectable 164 for 7 in reply but that mammoth total had left them trailing in the Highlanders wake. Both Cricket Scotland sides had provided one of the best displays ever seen at Nunholm of clean hitting and top class fielding and catching. The sides play again tomorrow (Tuesday) in the 50 over competition. 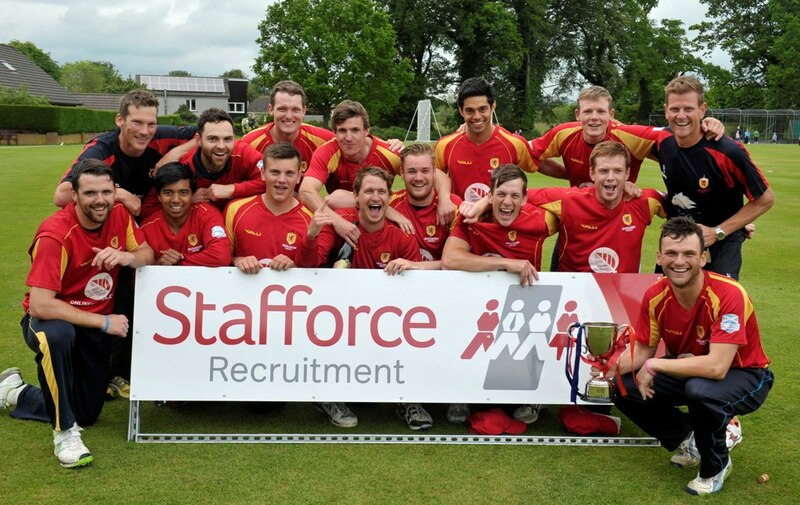 The match starts at Dumfries Cricket Club, Nunholm, at 10:30am.